If you are looking to have your own Bespoke Medals designed and manufactured then you have come to the right place. Aford Awards have been specializing in the design and manufacture of bespoke, custom made medals for over 30 years. 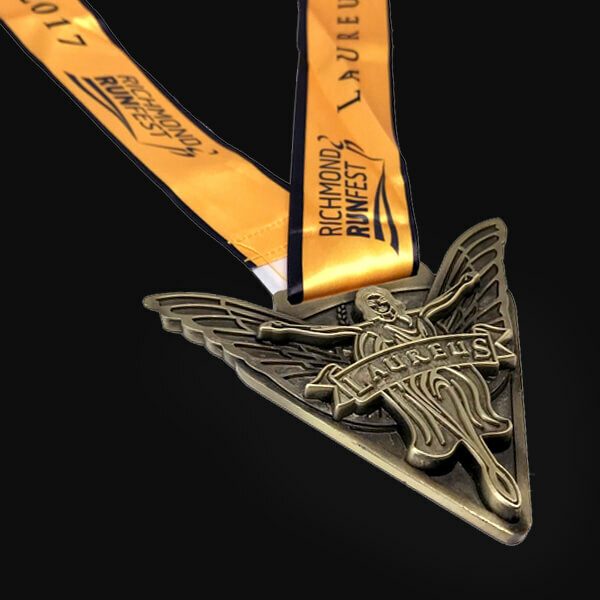 We’re proud to be offer a bespoke service to our clients enabling them to design a medal completely unique to them, taking specific needs, budgets and timescales into consideration. We urge clients to be as creative as they want when formulating a design brief – we will always try our upmost to deliver client requests and where we can’t, we will work closely with our clients to design a suitable alternative. You even have the ability to design a bespoke medal that is on brand and recognisable at the glimpse of an eye. We have worked with some fantastic clients over the years - from the London Marathon to the British Grand Prix! Yes, you heard us right, we said British Grand Prix! We are able to supply gold, silver and bronze medals in virtually any shape. 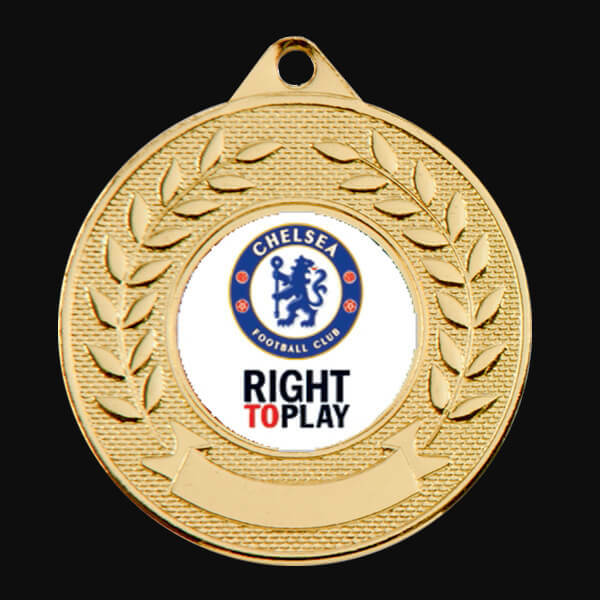 We can supply medals with different colours to match your club or company logo. We can supply a custom centre on a medal to make them unique to you. This is good option for customers on a tight budget. 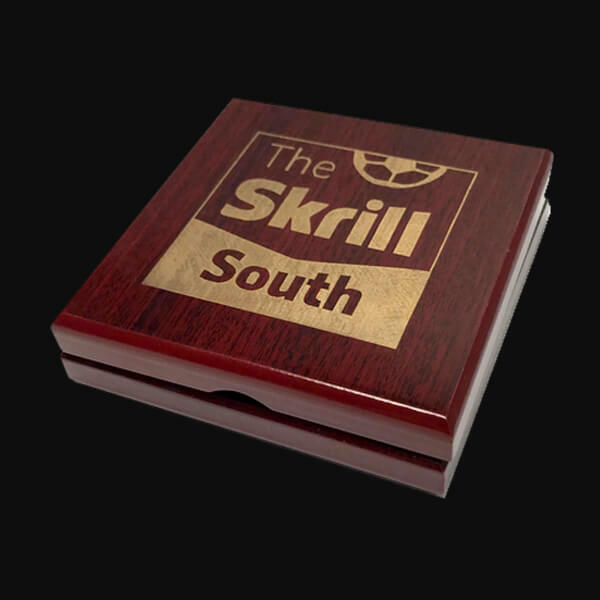 To add that special touch to your medal, we can supply and personalise a display box. Available in many different colours and materials. We can provide most medals with a bespoke ribbon also, printed with your chosen wording and patterns. 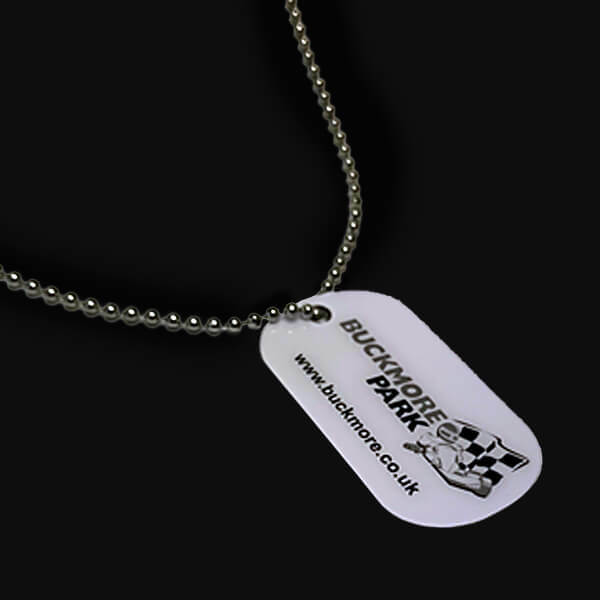 Give the perfect souvenir / gift with a bespoke dog tag, complete with chain and and personalised printing. Designing your medal is simple – it couldn’t be any easier. We’ll help you step-by-step throughout the process – from formulating the design, to receiving the brief and working to your budget and timescale. 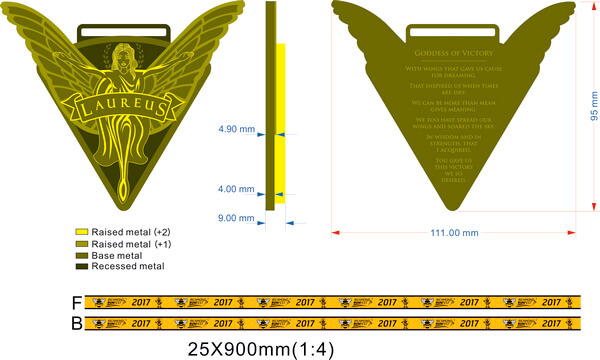 Upon sending us your brief, we’ll be able to brainstorm some creative ideas and send you mock-ups of how we envision your medal to look based on your criteria. Then you can make a decision if you’d like to progress working with the fantastic team at Aford Awards! Once you have decided on a design, we’ll be able to bring your bespoke medal to life in our manufacturing studio. Our expert team takes pride and care in all of the awards they produce to ensure our clients only receive the very best! All of our Bespoke Medals are designed at our headquarters in Kent. The benefit of creating your designs in-house means we can always keep an eye on the full process and ensure quality and attention to detail is being upheld. 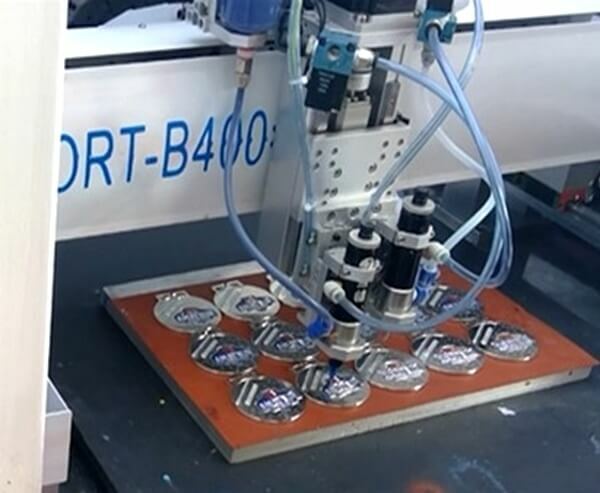 We also have state-of-the-art engraving machines in house, which will enable you to add the final personalised touch to your bespoke medal(s). Each of our bespoke medals are closely created with you to ensure you’re involved in every step of the design and manufacturing process. We always aim to go beyond the expectations of our clients to ensure you and/or the recipient has a medal they are proud to showcase. Can I feel the quality of your medals before I order a bespoke design? If you would like to feel the quality of our products before you order, we have a showroom that is based in the heart of Kent in the beautiful village of Bearsted. We encourage clients to come and visit when possible to feel the quality and appearance of the products for themselves. Not only do you get a real idea of how your bespoke medal will look and feel, you can see where your medals will be designed and manufactured – you might also get inspiration from other products we have on show in our showroom! Should I use a ribbon or box with a custom medal? Finish your Bespoke Medals in style with a special printed Ribbon or Velvet Box. All our Bespoke Medals can come with either a Specially Printed Ribbon or a Medal box. Please give us a call for more details on our Medals Ribbons and Medal Boxes. How creative can we go when designing a custom medal? We encourage our clients to be as imaginative and creative as they want – think outside the box! We will always try to meet design specifications where possible. If there is something within your design specification that we are not able to cater for, we will be in touch with an alternative solution that is very close to your original request. We’ll be in contact with you at every step of the process to ensure you’re always kept up-to-date and in the loop. What is the character limit for engraving on my bespoke medal? On medals we can engrave approximately 60 characters, however, it is often dependent on your custom design. If engraving is something that you want to use to its maximum potential, please add this to your design specification and we will take it into consideration when we contact you about your bespoke medal. We can adapt your designs to include more space for engraving, however, please note this will need to be done before we start the manufacturing process. Find out more about the standard engraving service we offer here. We also offer a premium engraving service which enables you to engrave your own personal belongings such as phones, tableware and jewellery for example. How long will it take until I receive my custom made medal? Our bespoke medals from start to finish will take around 12 weeks to design, manufacture and add the finishing touches. We can sometimes produce medals within 3 weeks, please let us know if you need medals urgently. We will be in contact with you at each stage of the design process. If you do not hear from us, please feel free to get in touch at any stage to track your design. How can I order a bespoke medal? To order a bespoke medal, please get in touch with one of the friendly team members on 01622 738711 and we will be able to give you a guide to prices and designs. Why have your own bespoke medal? 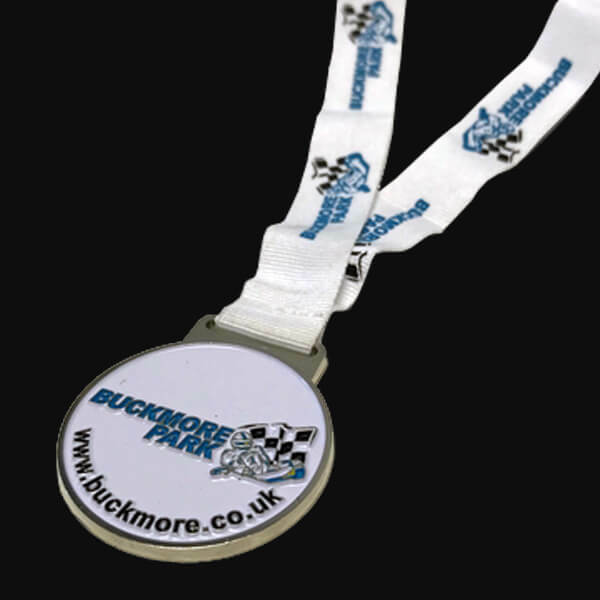 Custom Medals give you and your organisation the benefit of having your logo and contact details branded on the medal. As a result they will give a far more professional image to your recipients. 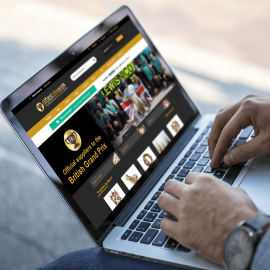 Also the cost of having your own Bespoke Medals can be relatively cheap if you require large quantities compared to giving out standard Medals or Trophies. Our Bespoke Medals come in a variety of finishes from Bright Gold, Silver and Bronze or Antique colours. 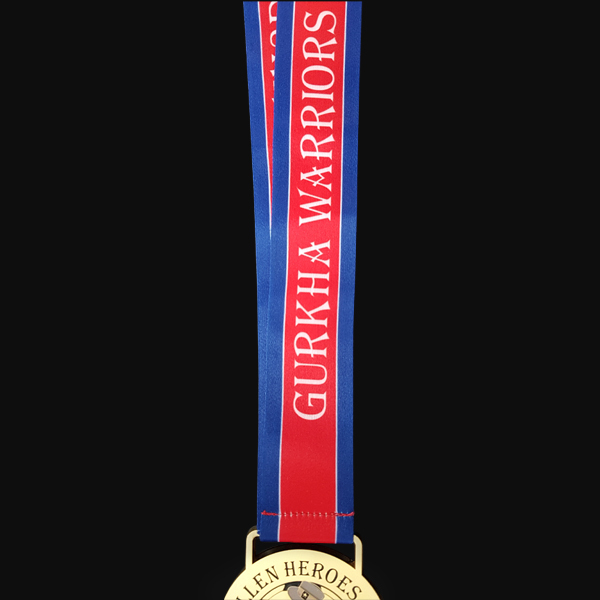 To make your Custom Medals that extra bit special our Factory can make your medals in full colour enamel. We are excited to work with you and create something truly special and personal for you to award the lucky recipients with. Simply use the contact form below to get in touch today or call 01622 738711 to speak to an experienced member of our team.